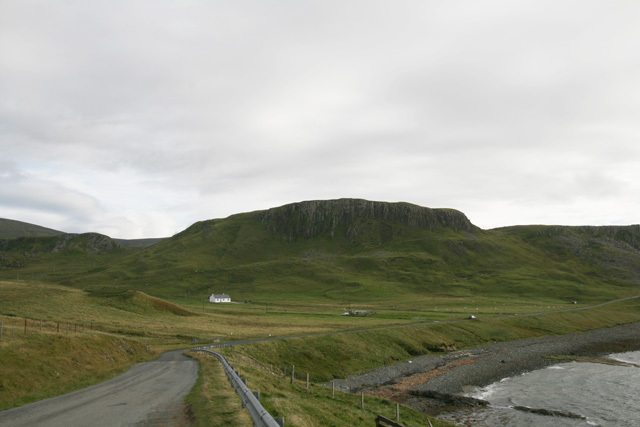 Score Bay Cottage is situated in the small township of Duntulm which is on the most northerly part of the Trotternish peninsula. The property is situated in a quiet location and enjoys spectacular coastal scenery with far reaching views to the Outer Hebrides. 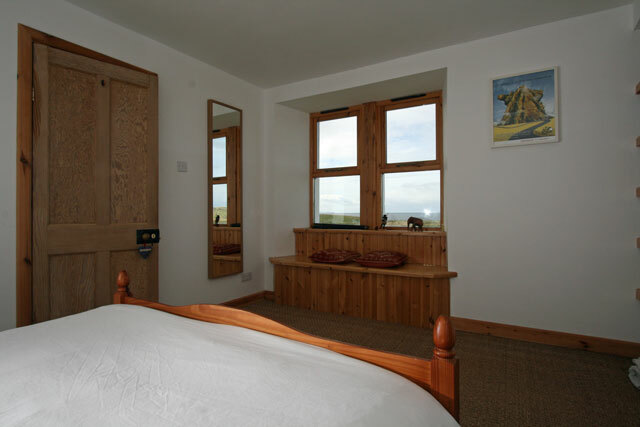 The cottage is well equipped and tastefully furnished and ideally positioned to take full advantage of the coastline, with sea views from the majority of the windows. All the accommodation apart from the second double bedroom is located on the ground level. The upper level is reached by a space saver staircase, which unfortunately makes this floor unsuitable for the very young or elderly. Outside the garden is fully enclosed and is equipped with garden furniture and a barbecue. The surrounding area itself offers some of the most dramatic scenery on the island, within a short distance the Quiraing, Old Man of Storr, and the spectacular Trotternish Ridge can be found, these are ideal areas for walkers and the awe inspiring peaks a photographers dream. The Skye Museum of Island Life is located in the vicinity and is well worth a visit to see the traditional thatched cottages and the way of life of a bygone age. Whitewave, Skye’s outdoor centre is located just a few miles away and offers various activities to keep the whole family amused. The nearest facilities including a general store, cafe and restaurants, would be located in Uig which is 8 miles away, a regular ferry service also runs from here to the islands. Further afield Portree is located 24 miles to the south and offers a good range of facilities including a supermarket and various visitor attractions. Within a couple of minutes walk you will find the shoreline of Score Bay, where during 2015 fossilised dinosaur footprints were discovered on the beach. The prints which are only visible at low tide are a major discovery and date from about 170m years ago, in the Jurassic period. Score Bay Cottage is the closest on the island to the discovery. Sitting room with comfortable sofa and chairs, wood burner, TV with Freesat, DVD/CD, iPod docking station, views to the sea and the garden. 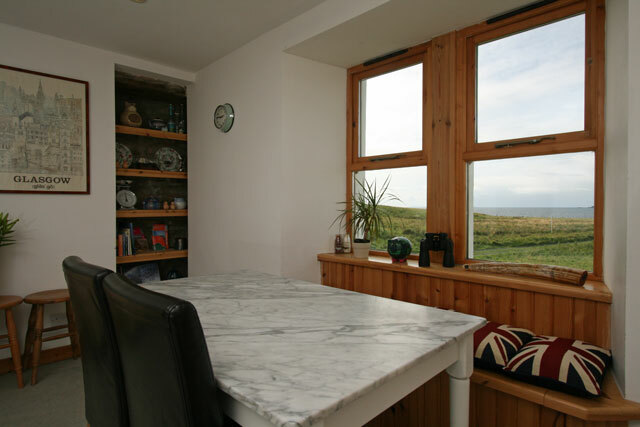 Kitchen, Aga, microwave, fridge/freezer, dishwasher, microwave, dining table and seating for five and all the usual kitchen equipment, views to the sea. Single bedroom with views to the garden. Double bedroom with sea and scenic views. Bathroom with bath, separate shower, heated towel rail, wc, whb. Double bedroom. 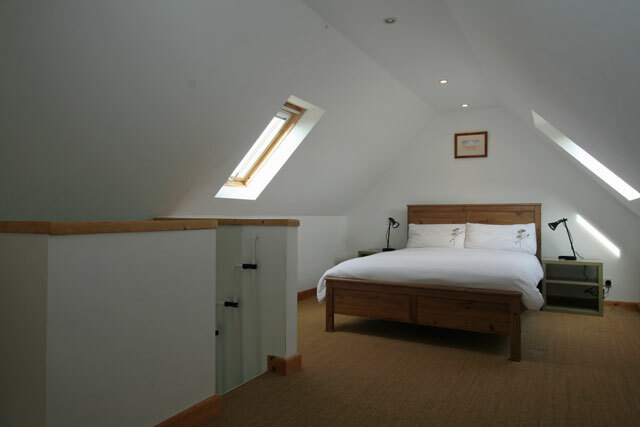 Note - the bedroom on this floor is accessed via a space saver type staircase, which makes it unsuitable for the elderly or children. All electricity and heating costs. Initial wood for the wood burner, extra can be purchased locally. Enclosed garden with garden furniture and barbecue. Off road parking for cars. 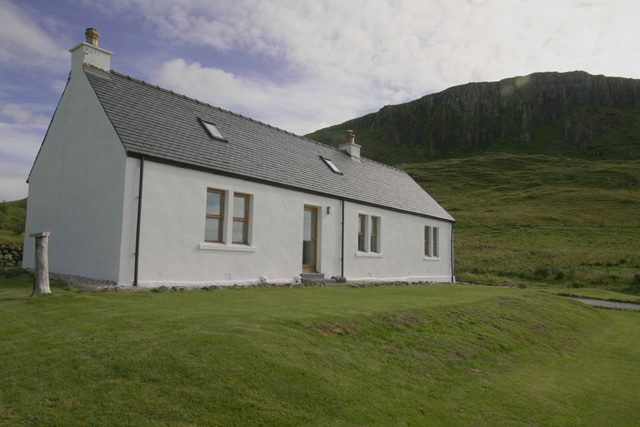 An ideal base for exploring the trotternish peninsula. Walking and cycling from the doorstep. What a gem of a cottage, beautiful, cosy, well equipped and in the most stunning location. Could quite happily stayed forever. Even our teenage daughter loved it especially laying on the bed star gazing on a night. Definitely will be visiting again. We were lucky to have great weather while on Skye. The location of the cottage was superb for our requirements. Well equiped and comfortable. There was a problem with the AGA, but someone did come out, however it didnt resolve the amount of heat it gave out, not enough for cooking. Last day lock on front door went and the bathroom lights kept shorting, owner cntactable, amenable and helpful. Didnt use any of the outdoor items apart from the bench table and seat to watch the glorious sunsets and stars at nigh, great dark sky. Would book and recommend again without hesitation, even with the slight issues we had. Pristine cottage in a spectacular location with everything that we could wish. We wanted to move in permanently, but unfortunately there was another booking after us! Fantastic stay at this cottage. 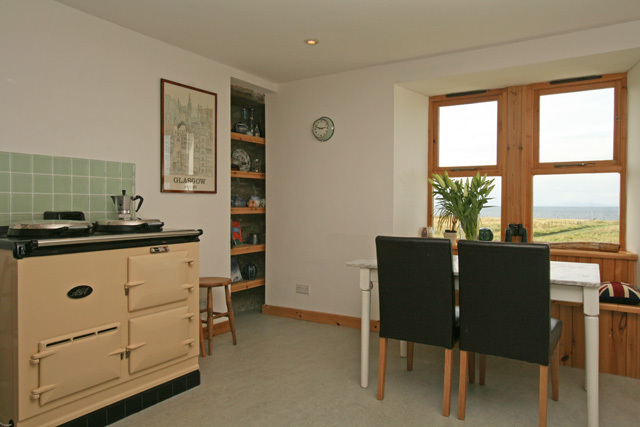 Cottage has all you need - just maybe forward plan any meals for the AGA! I would absolutely stay again, no question. You want away from it all - this is where to go! We were absolutely delighted with the cottage, both for its comfort but especially for its location. Scare Bay Cottage is a nice cottage with all facilities we need. We stayed a week in June. We like the remote cottage and use it for a place to travel through the north of Skye to make walks. Also from the cottage we walked to Rubha Hunish, the most northern point of Skye. After a breezy and sometimes wet day it was wonderful to come to the cosy and warm cottage. Beautiful, spacious, comfortable, very well-equipped cottage, in idyllic setting. On a bus-route with several buses a day for people without a car. 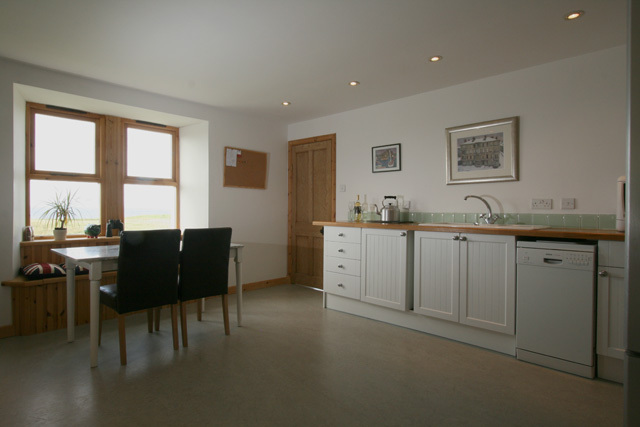 A lovely quiet spot with view of the sea and across to the outer Hebrides when weather permits! We enjoyed a couple of fabulous sunsets whilst sitting at the dining table and it is an easy walk up to the castle to view from there. 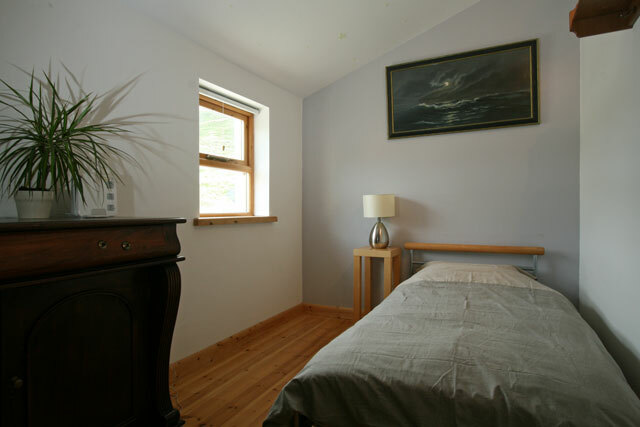 The cottage is very warm, spacious, clean and well equipped. We didn't use the upstairs but it was much bigger than we expected when we popped up to take a look. We explored other parts of Skye but we liked this top end the best for the variation in coastal scenery. There are many interesting walks to do from very nearby. Highly recommend. This is a really special cottage. The location is just stunning and the light streaming into every room is amazing. The kitchen is very well equipped and spacious, and includes a good sized table and chairs. 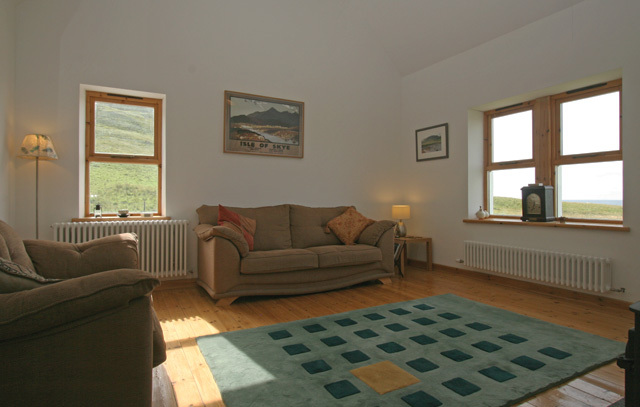 Having a separate sitting room as well is a plus - so many holiday cottages are open plan. The Aga meant the cottage was always warm and cosy. We would definitely return. 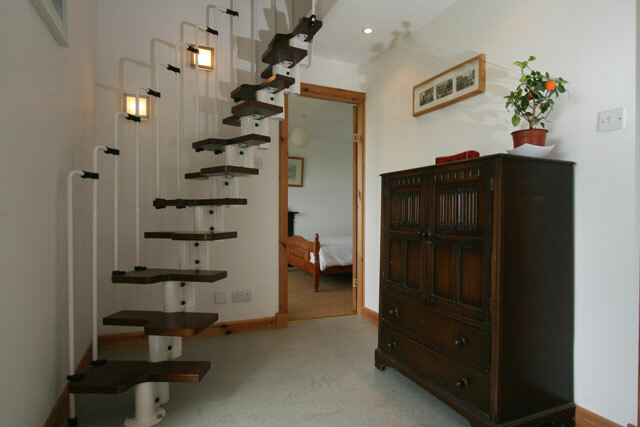 This is a spacious, comfortable, warm and beautifully equipped cottage. The owners could not do more to ensure one's enjoyment! 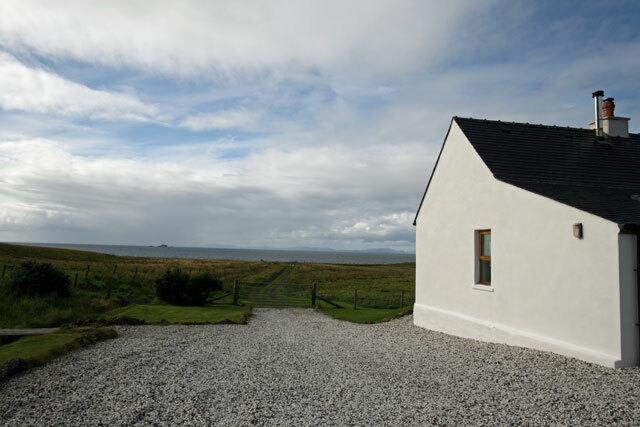 The cottage is in a truly breathtaking, undisturbed setting, with wonderful views of the mountains and sea, with the Outer Hebrides visible on the horizon. 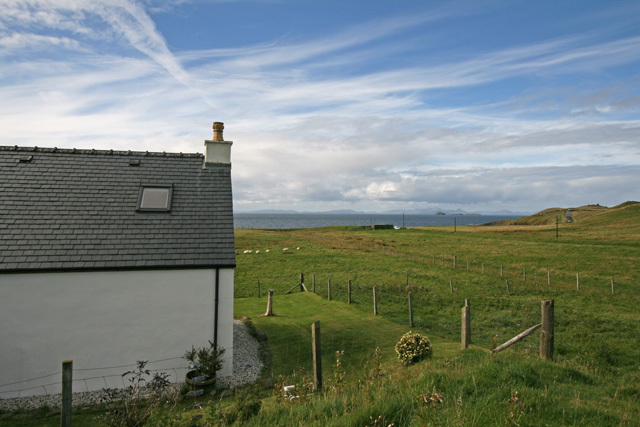 The cottage is also conveniently situated for getting around to other parts Skye, and a bus-service passes the gate. This is my third visit to this cottage. Highly recommended. Splendid setting. Very comfortable, well equipped. Cosy cottage. We've been to Skye now 6 times and this cottage is by far the best place we've stayed. The location was fantastic and incredibly relaxing; the house itself was perhaps the best equipped we've ever stayed in; and my partner, David, can now say that he can confidently cook on an Aga! All mod cons were included such as Wi-Fi, a great telly, dish-washer and washer-dryer. The house was charming, clean and the view onto the Bay was hypnotic. This is the only time that, on leaving a property at the end of our holiday, we've agreed that we should return to that property in future. I can't recommend this place highly enough. I'd like to move there permanently! Beautiful cottage. Everything we needed. Perfect location . Stunning views. 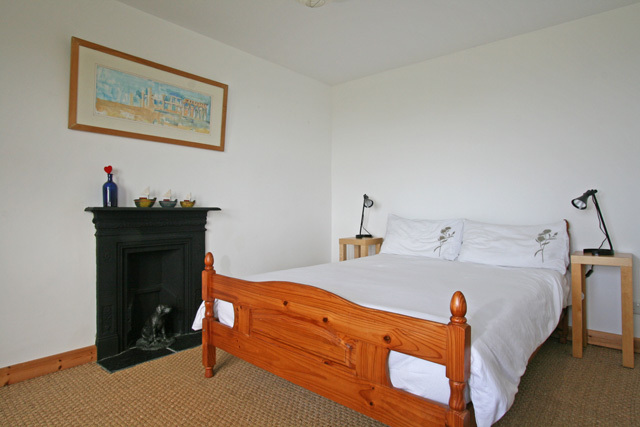 A very well equipped cottage in a fantastic location with friendly, accomodating owners.